A NEW IPHONE app which provides contact details and information on local mental health services has been launched by South Dublin County Council. MindMindR was developed in conjunction with the HSE and youth group Comhairle na nÓg and gives details of support services across a wide range of areas including depression, addiction, crisis pregnancy and suicide prevention. Emergency contact details for national services are also listed and services are mapped to enable the user to find the services themselves. There is unfortunately still a stigma out there around the whole issue of mental health and I felt we could develop an app to remove the physical act of asking for help by putting the information on a smart phone. All the information is just between you and your phone. The app is currently for the local South Dublin county area, focusing on Tallaght, Clondalkin, Lucan and Rathfarnham but moves are being made to roll it out nationally. King and the others responsible are to showcase the app before the Government’s mental health committee after it was supported by the Minister responsible Kathleen Lynch. The app can be downloaded from the iTunes Store here and will be available on Android from next week. Email “New app gives access to local mental health services”. 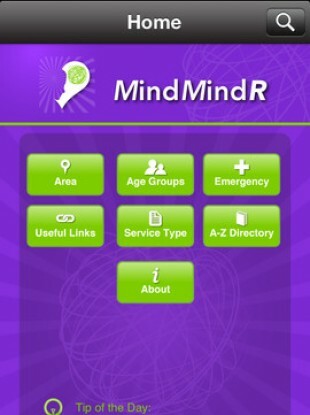 Feedback on “New app gives access to local mental health services”.